3.large span or multi span. 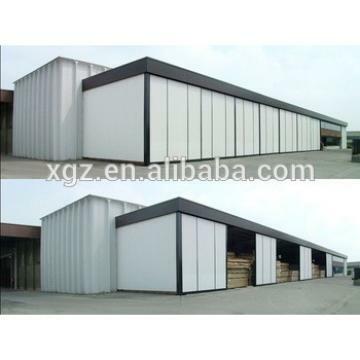 Light steel structure shed building is a new type of building structure system, which is formed by the main steel framework linking up H-section, Z-section, and U-section steel components, roof and walls using a variety of panels and other components such as windows and doors. 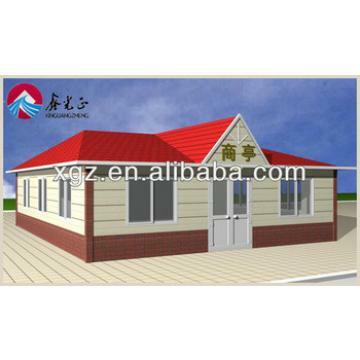 Light steel structure building is widely used in warehouses, workshops, large factories, and so on. 1. The main frame (columns and beams) is made of welded H-style steel. 2. The columns are connected with the foundation by pre-embedding anchor bolt. 3. The beams and columns, beams and beams are connected with high intensity bolts. 4. The envelop construction net is made of cold form C-style purlins. 5. 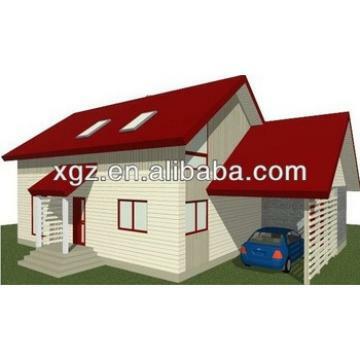 The wall and roof are made of color steel board or color steel sandwich panels, which are connected with the purlin by Self-tapping nails. 6. 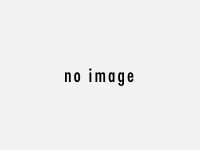 Doors and windows can be designed at anywhere which can be made into normal type, sliding type or roll up type with material of PVC, metal, alloy aluminum, sandwich panel and so on. 1. Wide span: single span or multiple spans, the max span is 36m without middle column. 2. Low cost: Unit price range from USD35/m2 to USD70/m2 according to customers' request. 3. Fast construction and easy installation. 4. Long using life: up to 50 years. 7. Be used as warehouses, workshops, shopping mall, dinning hall, stadium, etc. 5. 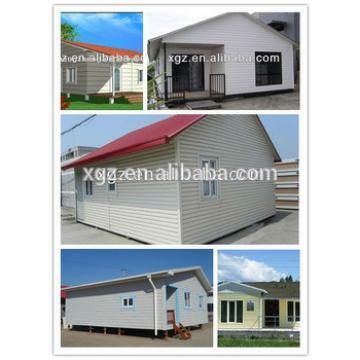 Others: environmental protection, stable structure, earthquake proofing, water proofing, and energy conserving. 4) How to build a steel building? Do you need the skylight belts, Ventilators, down pipe, out gutter etc?